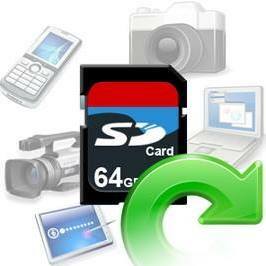 Retrieve deleted, lost, missing videos and pictures from GoPro camera SD memory card. 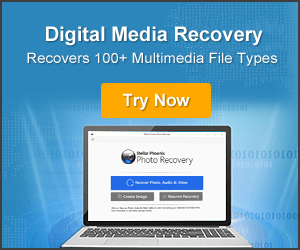 Restore media files from corrupted, formatted, virus infected, error throwing SD card of GoPro camera. Support all GoPro Camera such as Fusion, Hero 3, Hero 4, Hero 5, Hero 6, etc. 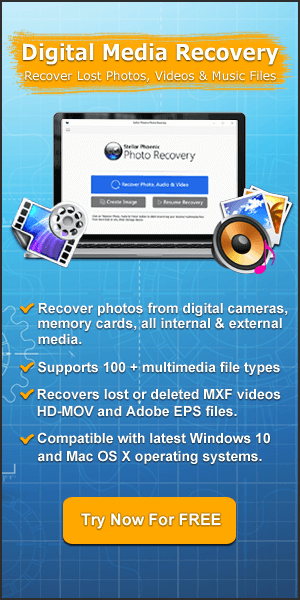 Also support recovery of multimedia files from other camera & camcorder SD card such as Nikon, Canon, Fujifilm, Olympus, etc. Earlier GoPro camera was not popular as compare to other camera such as Nikon, Canon, Olympus or Sony. But now, GoPro has established itself, and today it is recognized as a leading brand for personal video camera, which is specifically incorporated with extreme sports and adventurous activities. Beside camera, GoPro also provide Drone, in which you can attach camera into it and shoot video footage from several level and angle. You can also use GoPro camera with other Drone such as DJI, Hubson, Yuneec, Quadrone, Parrot, etc. Though this gadget has so many excellent features, but there are things that come unexpectedly. One of those things is the deletion or loss of files on GoPro. last time i didn’t need to import files in goprostudio, so i have stopped the autoimport and it prompted me to mantain or delete the files. Tried to recover with many software with no success, files are still on the card (size are corrected) but impossible to play them. In the above example, user has lost his important videos and now he is looking for help or suggestion that could help him to recover lost videos from gopro sd card. Well, I will come to the GoPro video recovery solution, but before that it is also important to know the common causes for the loss of files on GoPro. 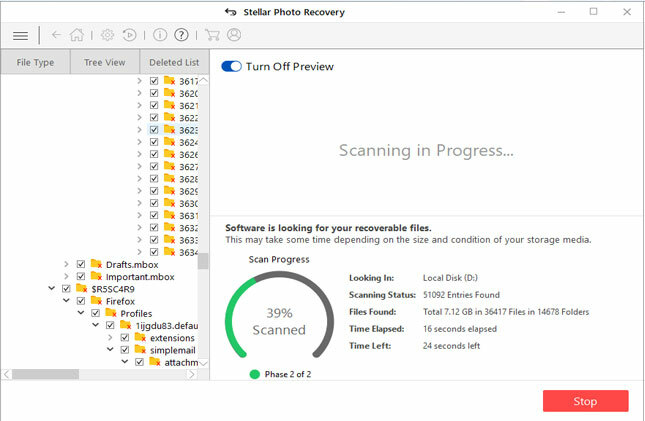 Accidental Deletion: This is one of the most common reasons that make the files lost from the camera or from its SD card. Formatting: Sometimes due to some SD card error we are forced to format SD card. But formatting the card, result in complete deletion of data from it. Corruption: If your GoPro SD card gets corrupted due to virus attack or some other reasons, then you will not be able to use or access files stored within the card. File Transfer: If there is any kind of interruption while transferring videos or photos from the camera to PC or Mac, then you may encounter data loss. Interruption can occur due to device or system shutdown. In any of the above mentioned scenarios, you may face video or photo loss from GoPro camera. Is It Possible To Restore Lost or Deleted Videos/Images from SD Card of GoPro Camera? As you know that GoPro has a memory card slot, in which SD card are inserted. All the recorded video or captured photos are stored in the memory card. And even if you have accidentally deleted or formatted the card, you still have the chance to restore videos, photos from GoPro. Actually, the deleted files are not deleted permanently and it is still present on the card, until and unless you do not overwrite it by adding new data on the memory card. Hence, it is suggested that you must stop using the GoPro SD card and do not record or click photos from it. 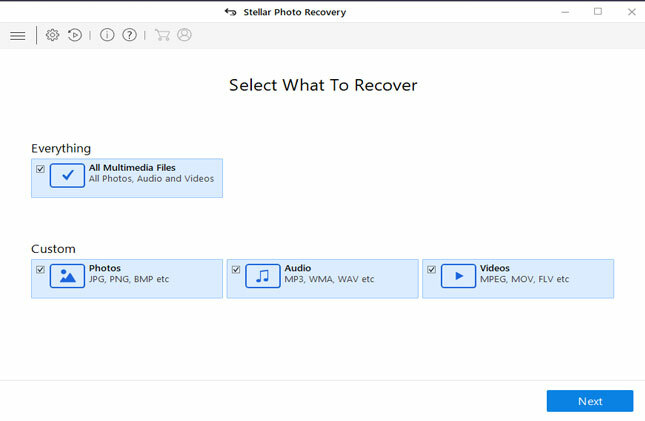 Lastly, apply appropriate GoPro camera video photo recovery software to recover photos/videos from GoPro SD card. So, finally the GoPro SD card recovery solution comes here. 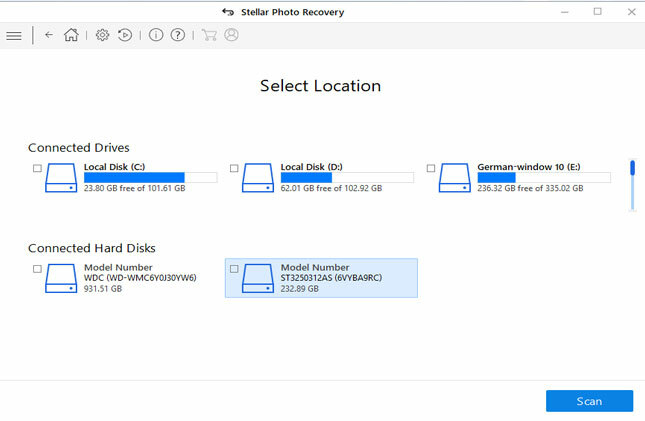 One of the most perfect and reliable GoPro SD card recovery software is Photo Recovery available for both Windows and Mac. 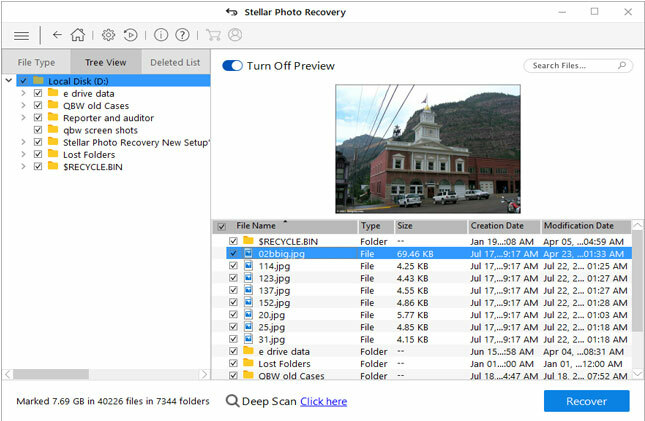 This camera recovery tool will help you to get back deleted, lost, formatted videos, photos, pictures from SD card of GoPro Camera. This GoPro camera video recovery comes with efficient scanning algorithm that extract every single multimedia files in cases of all card corruption or deletion. GoPro Camera SD card videos and photos recovery retrieve files from GoPro Fusion, GoPro Hero 6, GoPro Hero 5, GoPro Hero 4, GoPro HD Hero 3, GoPro Hero 2 HD, GoPro Hero, HD Hero 960, Digital Hero 5, HD Surf Hero, HD Helmet HERO, etc. So as you have now got the perfect and suitable GoPro SD Card Recovery solution, you can now travel anywhere with your beloved GoPro camera and record and take as many as videos and photos, as you do not have any fear of losing them because you know you have the reliable and trusted Photo Recovery software. GoPro SD Card Recovery. 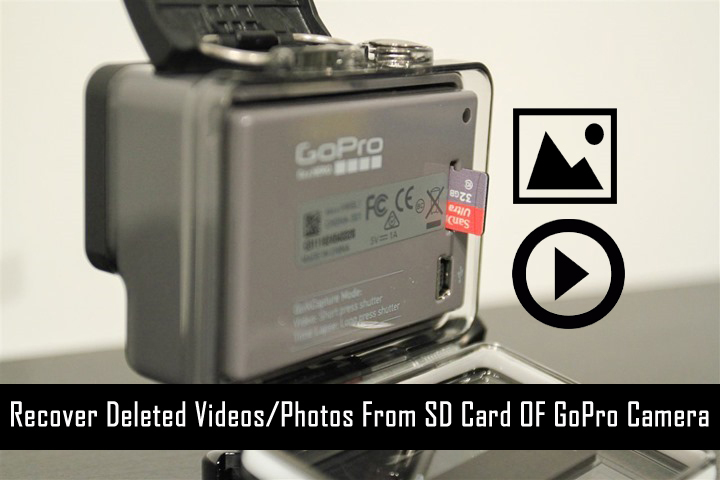 If you have accidentally lost or deleted videos/photos from GoPro, then here find out how to recover videos & photos from SD card of GoPro Camera.